Summary: Mobile and branch channels can work together for bank efficiency and customer engagement. We provide some tips on how to do this. It takes a lot of work to keep your teeth clean. Most people use a plastic toothbrush, but a new startup is now offering a disposable variety made of recycled paper. This approach in theory will mean less plastic in landfills worldwide and it reportedly looks, feels, and works just like the plastic variety. 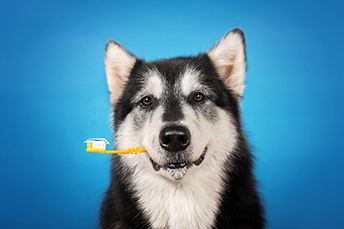 It looks like plastic toothbrushes may eventually be going to the dogs...you have to love human ingenuity. In the banking industry, there has been a ton of change and ingenuity as well. One area in particular where this has occurred has been in mobile banking. As the mobile channel becomes more popular with customers, banks must offer practical and engaging customer service options. Most recent case in point: Many banks have begun offering online scheduling through the bank's mobile website or a separate app, to talk with specialists. Community banks that allow a customer to schedule certain types of appointments via a mobile app can drive more traffic to off-hours for greater efficiency, according to research from Kronos and FMSI. In this way, the banking industry's so-called omnichannel brings mobile and branch work together. Customers use one channel to schedule service in another. Also, customers take these mobile-scheduled appointments seriously: 84% of bank branch appointments scheduled via mobile were completed; with 12% canceled prior to the appointment time and only 4% resulting in no-shows. That is great for bank efficiency. Furthermore, this approach appeals to a broad-based customer desire to have a "face-to-face" experience in their more complex banking interactions, while allowing them to utilize the convenience of the mobile channel and not waste time. Encourage prospective borrowers to schedule via mobile. According to researchers, it is the high-value loan products for which customers desire face time. Banks should make it easy for customers and prospects to schedule time to discuss these products, via one click on a mobile application. Ensure streamlined information gathering. Once customers decide to try scheduling time on your app, make sure that it synchronizes and self-populates information, as appropriate. This assured convenience could incentivize your customer to use this feature again. The most frustrating thing is when you have to re-enter information more than once. So, streamlining is key. Educate branch employees about the mobile crossover. As banks and other retail outlets increasingly use smartphones and mobile channels as a means to have customers interact in their real-world outlets, it becomes increasingly important to ensure that branch employees understand the crossover and the channel interaction. While these channels can add efficiency to their jobs, they can also be seen as a complication, if not properly managed. Accept that customers will use multiple channels. Consumers do not switch channels so much as they embrace new ones. So, banks must accept that by offering new services via mobile they are adding to delivery options too and not simply replacing outmoded options. 1) Central State Bank ($275mm, IA) will acquire Swisher Trust & Savings Bank ($52mm, IA) for an undisclosed sum. 2) Sound Credit Union ($1.5B, WA) will acquire Bank of Washington ($207mm, WA) for about $30mm in cash (100%). 3) Rockland Trust Co ($8.4B, MA) will acquire Blue Hills Bank ($2.7B, MA) for about $726.5mm in cash (20%) and stock (80%) or about 1.78x tangible book. 4) Hanover Community Bank ($603mm, NY) will acquire Chinatown Federal Savings Bank ($132mm, NY) for about $28.8mm in cash (70%) and stock (30%) or about 1.32x tangible book. The Conference of State Bank Supervisors (CSBS) representing financial regulators from all US states is challenging OCC authority to grant bank charters to fintechs. The CSBS has filed a lawsuit challenging this authority. Bankers nationwide should expect regulatory scrutiny around flood insurance to ramp up again in 2019, after data from the National Flood Insurance Program finds 3.6% fewer households in North Carolina have flood insurance than in 2013 while 1.2% fewer in South Carolina have flood insurance.